We're an organic farm that uses permaculture practices and bio-dynamic preps and beneficial insects. Nestled in the Blue Ridge Mountains bordering the Pisgah National Forest in Marshall, NC, lays a haven for herbalists, naturalists, and seekers of agri-tourism excellence. The Eagle Feather Organic Farms, owned and operated by Robert Eidus is home to the North Carolina Ginseng and Goldenseal Co. Among their many acclamations, the Eagle Feather Farm has been designated as a Native Botanical Sanctuary by United Plant Savers, and is also a designated North Carolina Nursery by the NC Department of Agriculture. 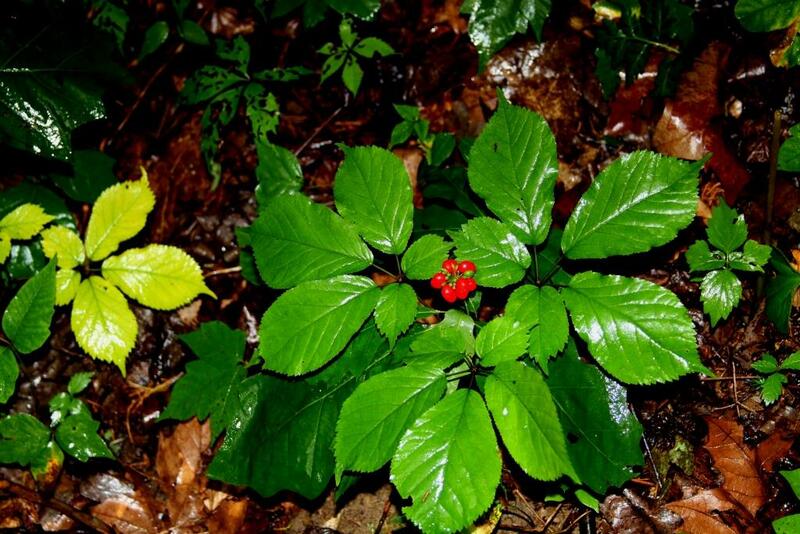 Since 1993, the NC Ginseng and Goldenseal Company has been growing organic medicinal herbs such as ginseng, goldenseal, and a variety of other woodland botanicals in a natural hardwoods cove. Madison County is home to some of the most potent and high quality ginseng in the world, and the Eagle Feather Organic Farm has a reputation for excellence. Here they distribute everything from roots, seeds, and rhizomes to tinctures and capsules, all the while practicing sustainable agriculture. Robert Eidus, owner, holds farm tours (by appointment only) as the interest in this form of agriculture is growing, and agri-tourism has added its name to the list of reasons for folks to come on out to this beautiful county. We also have 2 classes on growing woodland medicinal plants, one in the spring and on in the fall, as well as a youtube channel with various medicinal plant topics at PlantFriends. 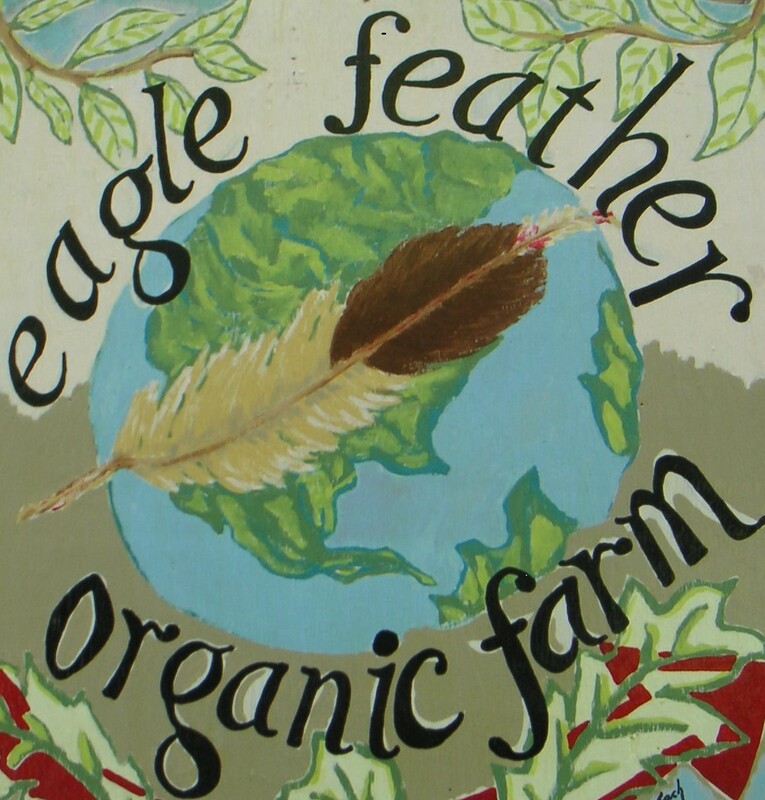 The Eagle Feather Farm has books, a video, classes, apprenticeships, and tours that further teach and address the natural ways of growing such beneficial herbs as Ginseng, Goldenseal, Black Cohosh, Gotu Kola, and Echinacea, while maintaining a sustainable environment. As the plants are grown in their own habitat, the use of tractors and many other such cash crop farming methods are not necessary. In 2001 the price for wild chemical free ginseng was $350-$380 per pound, while chemically sprayed ginseng, and ginseng grown in artificial environments went for $18 dollars per pound. The price of ginseng increased to $1,100 in 2013, up from $450 in 2006. Robert Eidus and the Eagle Feather Organic Farms have a lot to share about the wealth of sustainable resources to be found here in Madison County, NC. Offers workshops and event spaces, as well as farm tours by appointment. Specializes in Ginseng and Goldenseal, including tinctures, capsules, powdered goldenseal, dried American Ginseng roots, plants (in the spring), roots, seeds and rhizomes (in fall). We work by the moon calendars, so every second day the tasks change. Please also see our apprentice agreements page. We host spring apprentices from April 1 thru May 15, and Fall interns from August 15 thru October 15. We offer a $200/month stipend, and apprentices are invited to participate in fall classes. Dorm style accommodations, one private hermitage. Composting toilet. Interns are responsible for transportation to and from grocery stores and can apply for food stamps. There is one weekly shared meal on Friday evening. Within 15 miles is Downtown Marshall which is a small but friendly community with a health food store, cafe, restaurants and farmer's market and small creative studio space on the "island." The French Broad is within walking distance of the farm and is a major water sports attraction. Asheville is also within 30 miles from the farm. Everybody knows how great Asheville is, as a food, brewery, art and culture destination. Hiking and camping spots galore between the farm, Asheville and surrounding area. Hot Springs, another popular destination, is only 11 miles away. The farm itself is a private and secluded forest retreat and farming operation. Applicants should have a vehicle if they want to be able to get to and from the farm and enjoy the local community. While it is easier to have a vehicle, it is not a requirement as long as they make travel arrangements. Good work ethic, enthusiasm for working and the ability to stay organized. Preferred but not required is experience with growing herbs and organic farming. There are no animals at the farm. To inquire about employment opportunities, please contact us by phone between 9 a.m. and 5 p.m. between March and July or visit our website for further information. We offer workshops and event space, as well as farm tours by appointment. Find out about our current offerings on our farm’s Facebook or website.